Each quarter this year, you will need to write book reviews for each of the books you read. 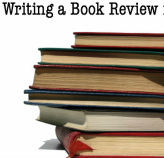 Use this to link to a great resource for how to write a book review. Here are a couple of other resources with questions to get you started. Look below for exemplars of good reviews written by a students. Each one has a couple of positive qualities; none is perfect.